Somebody said, don't panic. And that was precisely when we panicked. And off we went running towards the door, dashing across the corridors - the floors on our feet moving on their own - then making our way down the stairs, to the quadrangle where many more of our schoolmates were running, on to the school gates and out into the streets. July 16, 1990. That is a date that will be forever etched in my memory, and for many more of us in Luzon who experienced the devastating earthquake more than 10 years ago. It was 7.6 on the Richter Scale. That number does not even begin to describe the magnitude of that disaster. If you are to ask me what 7.6 ORS feels like, here is what it felt like: Imagine going inside a match box (or a large cabinet), and ask someone to shake it vigorously for 30 seconds. That was how it was. We were on the 2nd floor of our school main building, and from the window I could see the building on the other side swaying furiously in the opposite direction of the shake of the building I was in. That's why to me it is very vividly like being inside a box rocking violently. As HappySlip's dad would say: Di-saster! The once paved roads are now broken, looking like a cheap tile that someone had accidentally stepped into and broke to pieces. Mud was gushing strongly from some of the cracks in the road, and there was danger that one could get caught in the cracks, as the shoe of a classmate fell victim to. Our city being a delta and built on swamps, it was easy for the ground to liquefy, thus the gushing muds, and the resultant instant floods. The asphalt roads have piled liked bread crackers, electric posts have fallen in every direction like pick-up sticks, making it a challenge to walk from our school through the main city street. Buildings that had once stood in uniform heights are now at least 5-10 feet buried in the ground because of liquefaction, some leaning sideways, others sinking straight down. One of our major bridges had collapsed into the river; some had to swim across the river to get home. There was no way any vehicle could pass through the main city road. It was 4:30PM when the earthquake struck, and by the time we got out of the city, it was nearing dark. There was no other choice but to walk the long way home. We had probably walked a good one kilometer from the city when a neighbor passes by in his car, and offers to drive us home. He was a blessing. It was also a blessing that the 2 bridges we had to hurdle before reaching our house was not damaged by the quake. To our amazement, when we got home, we found that nothing was broken! The only thing that was a bit out of place was the tiny image of the Virgin Mary on our altar. It had fallen. No other jar, or glass, or religious article had been moved or fallen. To me that meant, the Virgin Mary protected our house with all her power, that's why she was the only item in the house that showed any stress from the earthquake that had struck. It would be several aftershocks, relief goods, and months after before Dagupan City could rise back to its feet again, and before classes and businesses would resume. It would take a while longer before most of the damaged buildings and the collapsed bridge could be rebuilt. 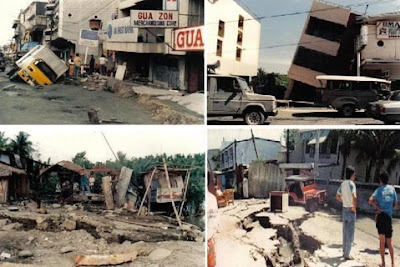 I remember 1990 everytime there is a tiny earthquake every now and then. I remember 1990 now, esp. thinking how much worse it must be for Japan being struck with an earthquake that is much stronger, coupled by the other twin disasters of the tsunami and the nuclear fallout. It is frightening to know that a 9.0 earthquake releases 1000 times more energy than a 7.0 on the Richter scale. As scientists say, the chance of another major earthquake happening in the Philippines is not a question of IF, but of WHEN. We must prepare ourselves for it. In the meantime, let us continue to help our friends in Japan. Click image below to see how to help. P.S. 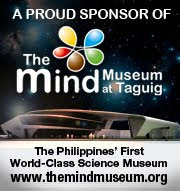 Dagupan City has come a long way from the devastation of the 1990 Earthquake. See how vibrant the city is now! 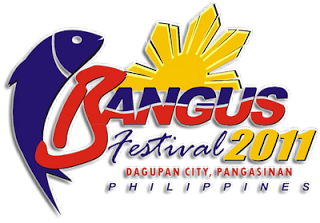 Celebrate with the Bangus Festival with us from April 8-May 1. Click image below for event details.